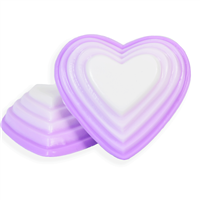 These soaps are perfect for Valentine's Day, Mother's Day or would make a great bridal shower favor. This simple recipe can easily be adapted to any occasion or color scheme. To Mix & Pour Funnel Pitcher or microwave-safe container with spout, add 9.5 oz. cut up white soap base. Heat in microwave in 30 second increments until melted. To plastic beaker, weigh 0.30 oz. fragrance oil and add to soap. Blend well. Pour a small amount into the bottom layer of the first heart. Spritz with rubbing alcohol and let harden. Cut a 0.10 oz. piece off the soap color block. Cut this piece into fourths. Then each piece in half. Take one of these pieces and add to melted soap. Stir until color has melted. If necessary, place in microwave and heat briefly until color has melted. When soap in mold has hardened, spritz well with alcohol. 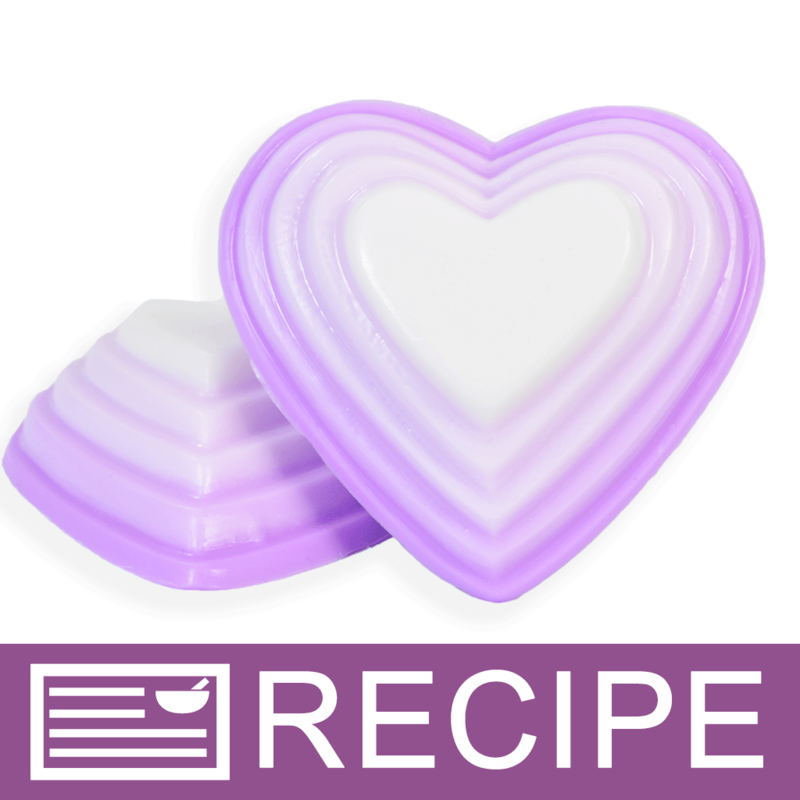 Pour colored soap into next heart layer. Spritz again and let harden. 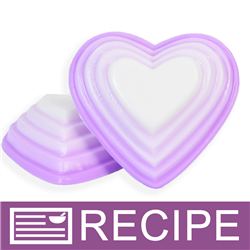 Add another piece of color block to soap and stir until color has completely melted in. If a darker shade is desired, add a little more color. Again, spritz hardened soap well with alcohol and pour next heart layer. Continue in this same manner with the final two layers, adding more color to each layer. Remove from mold and package as desired. Repeat above steps to make 3 additional bars. Ingredient Label: Sorbitol, Coconut Oil, Propylene Glycol, Stearic Acid, Water, Sodium Hydroxide, Glycerin, Titanium Dioxide, Fragrance, Violet 2 EXT, Red 28. "I don't see the fragrance in the ingredients list. Where should it be? If using other oils with the same weight as Lavender Mint at the same percentage, I assume they would be in the same place in the ingredient list? For example, using Wild Rose instead of Lavender Mint, both at 6%. Looking at the FO calculator they both weigh 32.32g in 19 oz of soap. So they should be in the same spot in the ingredient list, correct?" Staff Answer Thank you for bringing this to our attention. We have updated the ingredient list to reflect the fragrance and also the color. The fragrance was added at 3%. If using a fragrance at 6%, it should be placed after Sodium Hydroxide in the label listing.